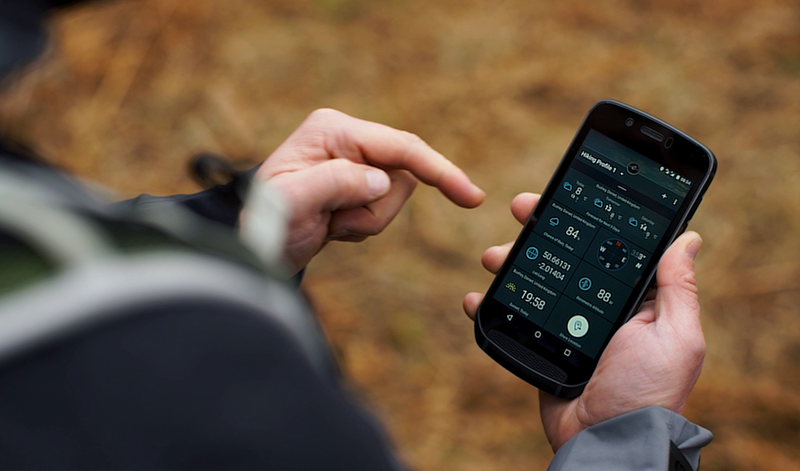 The Land Rover Explore phone is packed with unique features for anyone who loves the outdoors. Here’s the low-down on some of its best features for people who live for the outdoors. This is a handy place where you can set your phone to check for the outdoor conditions which suit your outdoor life. You can quickly check conditions in your favourite places, such as the weather, barometric pressure, visibility, wind speed, tides, UV index and more. You can also access useful tools like the torch or compass quickly. Create your own profile and choose what data you want to see in your favourite locations. Say you’re a surfer. You could select swell height, sea temperature and wind direction for your favourite breaks to quickly compare conditions. Or if you’re going for a mountain hike, you could choose altimeter, compass, chance of rain, or freezing height. There’s also an SOS share location button that will send a text message with a google link to your position. But hopefully, that’s something you’ll never need to use! 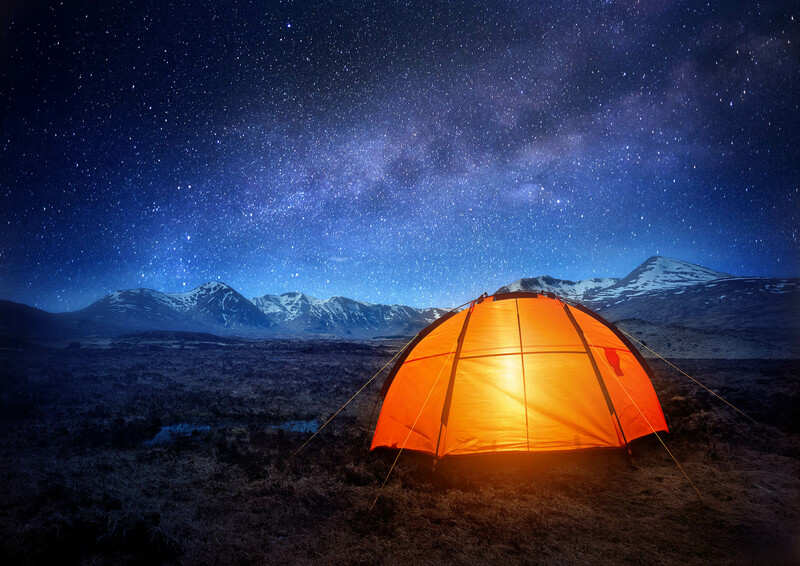 This is your discovery portal to the outdoors. It’s a hub of apps, curated content and Instagrammers we love and hope you will find interesting too. The idea of the hub is to save you the hassle of trawling for apps on Google Play store – we’ve done the work for you and tested them on the phone to make sure they work. Open the hub up and you’ll find our favourite apps around navigation, activity tracking and travelling, such as Strava, Geocaching and PackPoint, which helps you with your packing list. 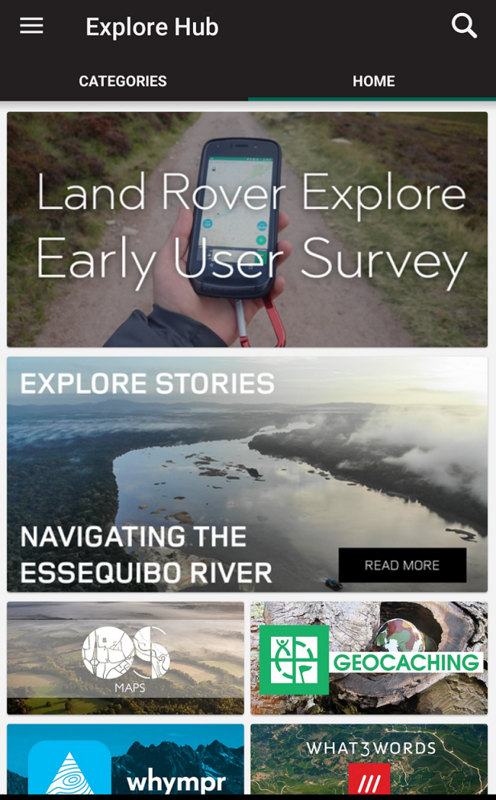 You can search for Apps by category, and the Explore Hub features some of the inspiring stories you can find on our site, from beautiful hikes to the journeys of our ambassadors. ViewRanger is an outdoor mapping tool that lets you plot a route or import one from your desktop and is pre-loaded on the phone. It really comes into its own when showing your position on the map, putting an end to those endless ‘where am I now?’ moments of traditional map-reading. The app uses the phone’s barometer to give more accurate altitude, which is displayed on screen. The phone’s Adventure Pack also boosts the GPS signal to give a more accurate positioning – as well as extending your battery life. Don’t forget to tap the Skyline icon (bottom left) to see your route in augmented reality. It’s also great for identifying local peaks and hills. 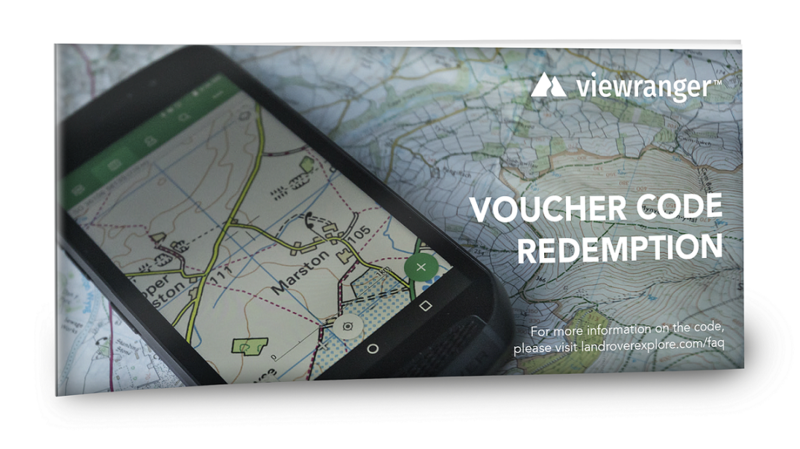 Be sure to use the voucher code that is included in the box to activate ‘ViewRanger Premium’. You can also access high quality mapping such as 1:25,000 scale OS maps for the whole of the UK. And if you’re heading to areas without mobile coverage, you can download the maps for that area in advance so they are available offline. One of our favourite apps is SkyMap, which is a great tool for sky watching and identifying the stars. Hit the eye button top right to switch to a dimmer red screen so as not to ruin your night vision. With the Land Rover Explore you can switch to a night mode at any time by pulling down the quick settings menu from the top and tapping the eye icon. Yes, it tells the time! But if you tap the date underneath, you can also add two other clocks, useful if you regularly need to check certain time zones and don’t want the hassle of always using Google. 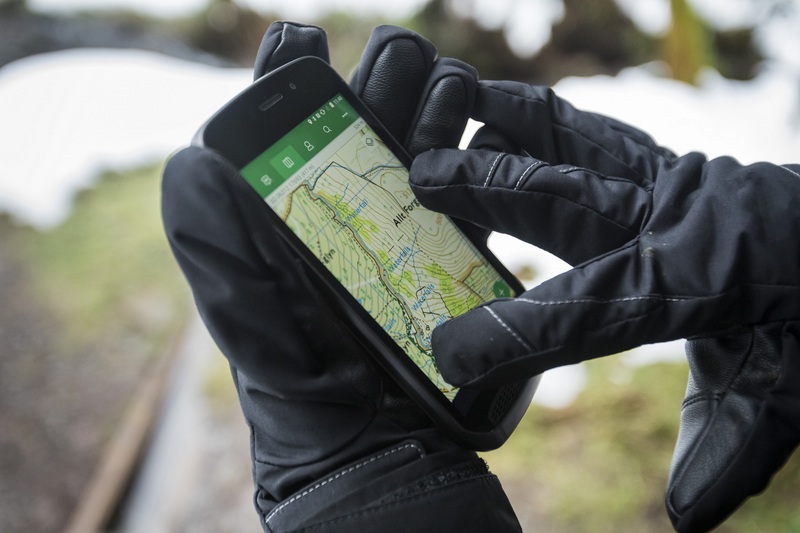 When it’s wet and cold, we understand that taking off your gloves to use the phone is a serious pain. With Glove Mode switched on, you’ll be able to use the phone, even when you’re wearing thick gloves. Probably the most unique feature of the phone is the Adventure Pack, which not only boosts your battery life but your GPS signal too. To get the most out of it, just use it like a power bank and attach it when your power is already in the red. Your battery will last longer if you keep them together from the start. When the pack runs empty, you still get the benefit of the enhanced GPS module. 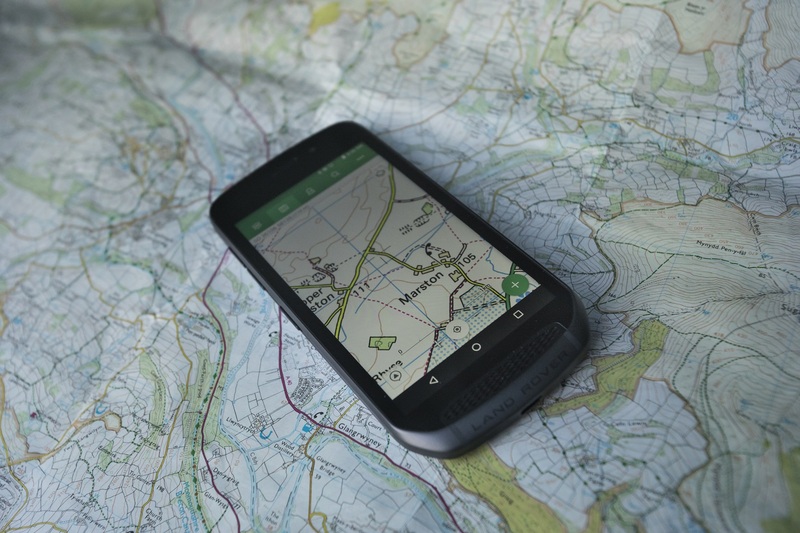 Ahead of National Map Reading Week in May, we explain how to use your phone to map-read so you’ll never get lost again. From exploring remote rivers and unclimbed mountains to running across deserts: last year there were few places on planet earth where the Land Rover Explore Outdoor Phone was not tested. Why is it that cold weather kills your phone’s battery? Here’s the answer, and some surprisingly easy hacks to keep it going for longer. Get the most out of your Geocaching adventures with the Land Rover Explore Outdoor Phone – a phone that’s built for the job.